On Friday 7th July 2017 we catered for Sharon & Tracey wedding in North Waltham in Hampshire, We had a fantastic day out in the countryside meeting so many of their family and friends. 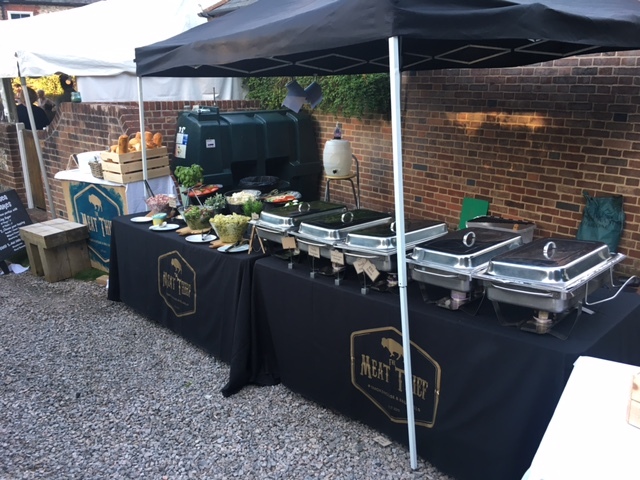 We were catering for around 80 – 100 people with age ranges from around 16 upwards, Their venue was in the garden of their most beautiful thatched roof home set in the stunning countryside of North Waltham. We had such a great time catering for this fantastic wedding near Portsmouth and just wanted to share how much we loved it with everyone. The guests were absolutely fantastic and the complements that we got about the food just make everything worth while. Great Day for us and we hope we made your day extra special.